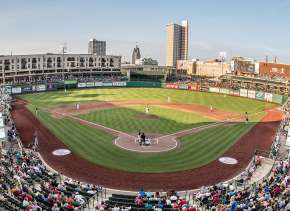 Posted on December 18, 2017 at 8:00:00 am by Josh V.
It’s still a little hard to believe, downtown Fort Wayne is experiencing a dazzling rise of progress. 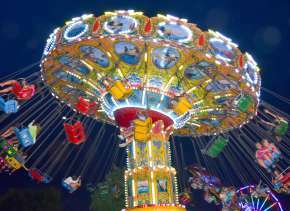 Developmentally speaking, we find ourselves positioned between a notable growth spurt and a hopeful inception of a historic, city-changing movement that will light the way for decades to come. There’s a lot to celebrate these days. 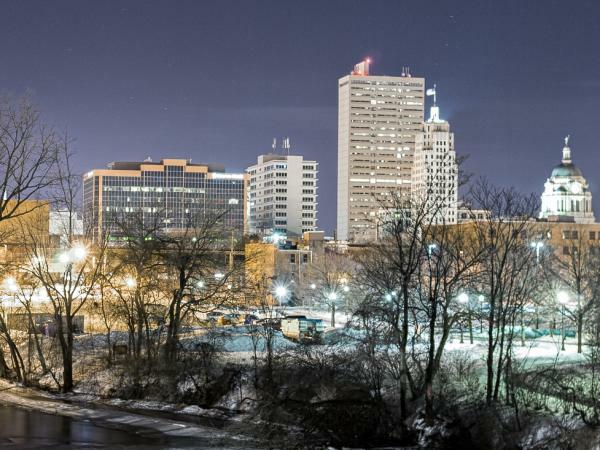 We now find ourselves discovering the new and exciting in downtown Fort Wayne everyday and weekend. We wanted to put this idea to the test, so this week, on a cold winter day, we set out to simply see what was going on downtown with hopes of being delighted and moved from one find to the next. Drawn by nostalgia and smells of fresh bread, we parked on Pearl Street around 4 pm and popped into Utopian Coffee. Though this roaster doesn’t currently run a café, they are open to the public and sell freshly roasted beans. Utopian&apos;s passion for excellence, sustainable practice, and long-term, equitable relationships with the farmers who grow their beans, is hard to miss. One of the first things you’ll see upon entry are pictures of farms and farmers with Brendon Maxwell, the founder of the company. Brendon and his crew love to talk all things coffee, and the pride they feel about their ongoing, hard-won relationships built with farmers in Columbia, is infectious. They love pop-ins, so stop by to pick up some coffee, have a quick look, and get signed up for a tour of their facility. Just around the corner from Utopian Coffee, are the good folks at Tolon on Harrison who French Press Utopian coffee. Nicky Nolot says she was drawn to work with Utopian because of their quality and shared value of sustainability. We stopped in around 4:30 pm for a quick bite at the bar. We ordered the recently updated Shrimp appetizer, a bold, creative, Korean fusion dish loaded with color, nuance, and flavor. The combination of sweet, spicy and tangy was adept and clever, clearly, the work of a seasoned kitchen that has banished all things boring and easy, and has pressed successfully into the nuanced and interesting territory. Zack, the bartender on duty, demonstrated a solid working knowledge of his terrain, but, more importantly, was friendly and easy to converse with. 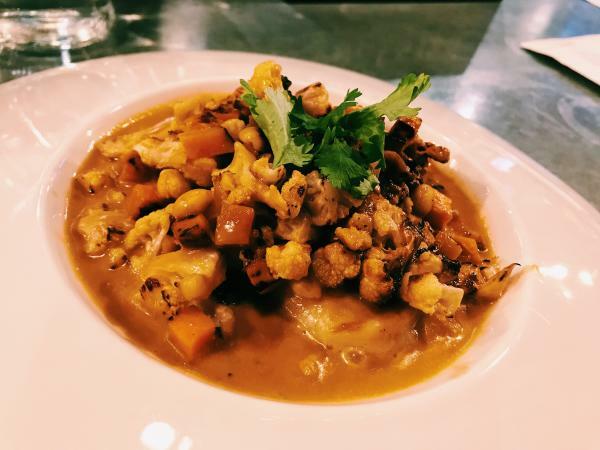 In closely listening and watching, we got the impression the staff enjoys their work and takes a deep sense of pride in knowing how to listen to the customer, and talk their way intelligently around the menu. We left Tolon impressed, full, and glad we had stopped by for an appetizer. Next, we tightened our laces, pulled on our gloves, and hiked a few blocks to the downtown library. On our way, we took in the sights, sounds, and movement of a city wrapping up the workday in preparation for the evening. 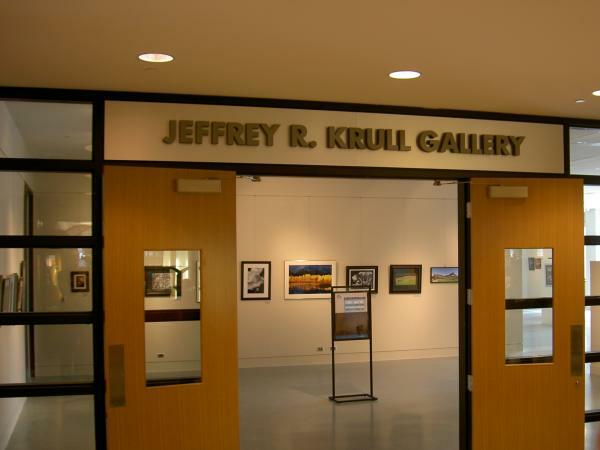 We wandered into the Jeffrey R. Krull Gallery, located in the downtown library, to have a look. We were delighted to find a profoundly stirring photography exhibit by Jenni Vorderman. The exhibit, aptly named Gravity and Grace, features portraits and landscapes from Kitale, Kenya, and Tamil Nadu, India, which tell arresting stories of human struggle, joy, and perseverance. Vorderman’s pictures provoke wonder and a realization of kinship. 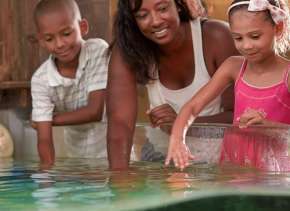 We found ourselves standing quietly in front of the images, sometimes for minutes on end filled with both gratitude and a beautifully expanded sense of awareness. This exhibit inspires both hope and compassion for those beyond our borders, a combination we could sure use more of these days. We wrapped up our jaunt by walking a couple blocks to The Grand Wayne Convention Center to pull on the door handle and see if we could get in and have a look around. Once inside, we were delighted to discover the lobby area, totally decked out in dazzling holiday décor, is typically open to the public until around 8 pm. For us, this meant we were free to relax in one of the many modern furniture settings located along the enormous windows running along West Jefferson Blvd. With the busy evening traffic running by and the striking beauty of the lobby all ours for a few moments, we kicked back, and felt truly grateful to live in a city with the vision and courage to re-invent itself. 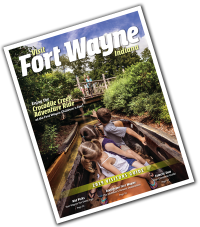 On our afternoon/evening in downtown Fort Wayne, we realized there’s a lot to discover, and maybe some of the best times are had when the purpose of the outing is the undefined journey, rather than the settled destination. Josh VonGunten is a proud resident of #FortWayneRising. 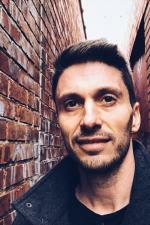 He is a graduate of Ball State University & Portland Seminary, but more recently he's learning how to lead and follow a hilarious pack of kids as he and his wife make their home in the 05 district. Josh serves and works as a pastor and creative, but does not listen to Christian music. He believes Fort Wayne is becoming something amazing, and he's committed to prioritizing local food and drink.